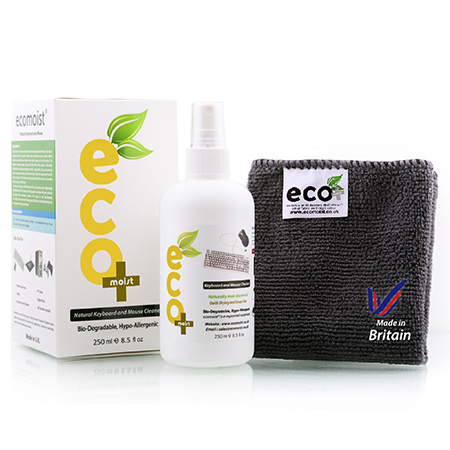 The Ecomoist Keyboard, Mouse and PC Cleaner has been designed to effectively clean your Keyboard, Mouse, Joystick, Game sole controllers and any other electric devices used with your hands that collects grease, dirt and bacteria. 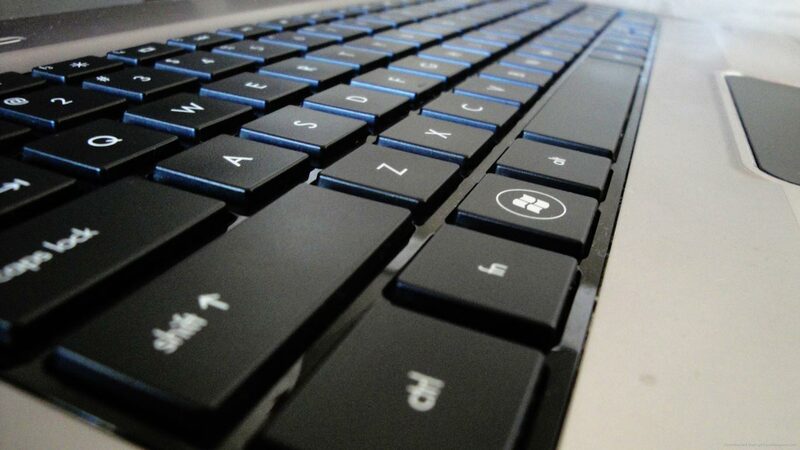 The cleaner will help you to Clean your keyboard and Mouse.The amount of dirt on our electronic devices, is scary. The Ecomoist® Mouse, Keyboard, Laptop and PC Cleaner has been designed to effectively clean your Keyboard, Mouse, Joystick, Game sole controllers and any other electric devices used with your hands that collects grease and dirt. The Cleaner removes grease and dirt. 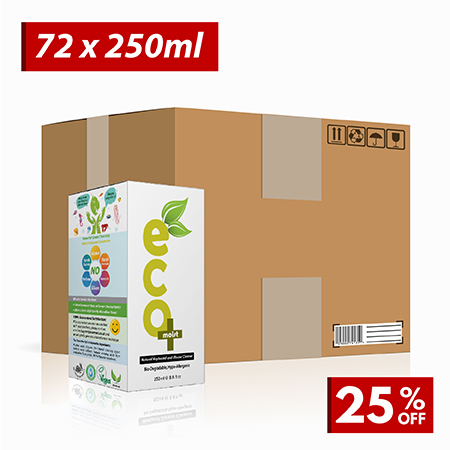 It has been formulated to be Hypo-Allergenic and Bio-Degradable. Does not cause harm to your skin or body. Safely clean all your Hi-Tech equipment from dirt and stains. 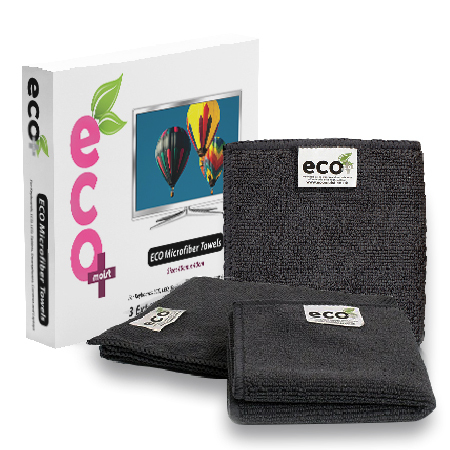 For screens and other electronic surfaces, we recommend the use of our Ecomoist® Natural Screen Cleaners. If you need more bottle size, please visit our all Natural Keyboard and Mouse Cleaners. 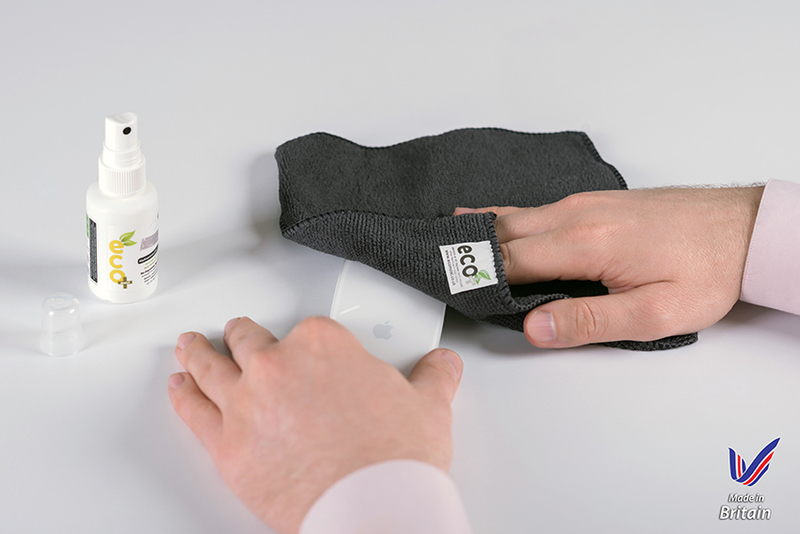 Simply spray a little Ecomoist® Keyboard / Mouse and Joystick Cleaner on the towel and wipe gently the surface of the application. Use the dry side of the towel to remove additional streaks. 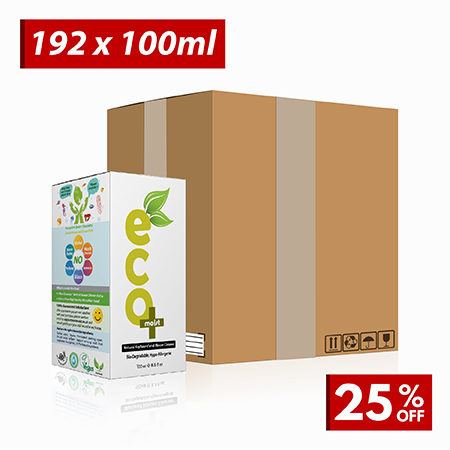 Why Ecomoist Natural Mouse / Keyboard and PC Cleaner? 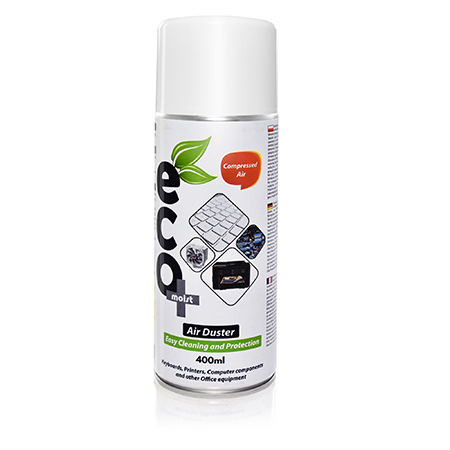 The complete solution for cleaning all plastic and aluminium surfaces such as Keyboards, Mouse, Pads, Joysticks, Game consoles. 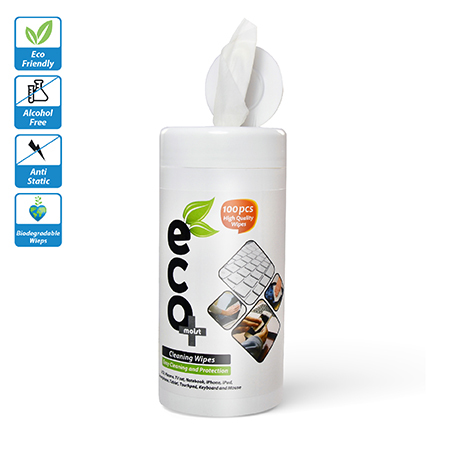 The Ecomoist Natural Keyboard and Mouse Cleaner has been designed to kill 99.99% of all germs on the above mentioned surfaces. 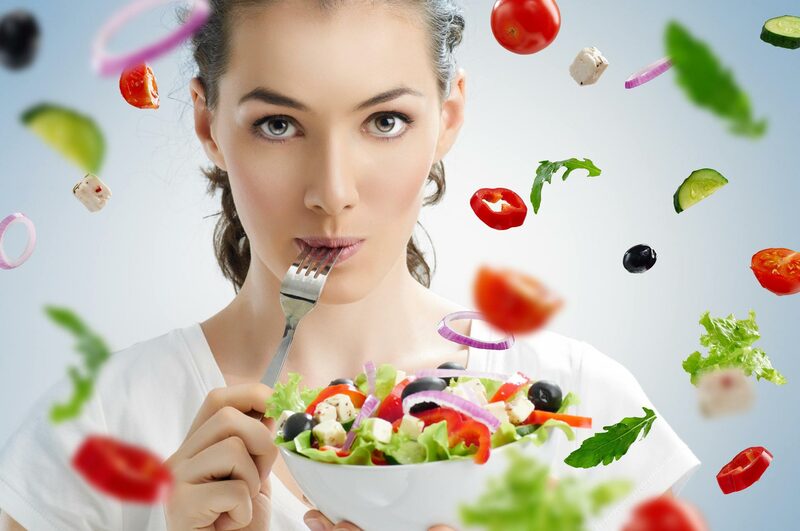 The product is Natural, Eco-friendly and does not cause harm to your skin. Smart Size 50 Ml bottle (carry with you everywhere), will last long time, as you have to use very little to clean. For example, you can clean a normal laptop keyboard more than 150 times with this size. Need more cleaning then visit our Amazon Shop for bigger bottle sizes. 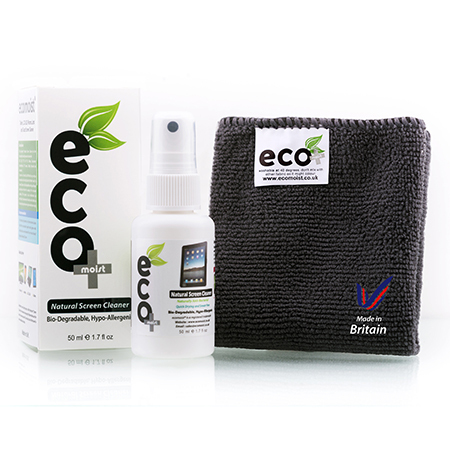 The cleaner comes with a High Quality Microfiber Towel (40cm x 40cm). The towel is thick and can absorb dirt and dust in deep edges of the keyboard. The Microfiber can be washed and reused over 400 times. The cleaner is Bio Degradable and Hypo Allergenic. Does not harm your skin or your devices. Anti-Bacterial, Anti static. 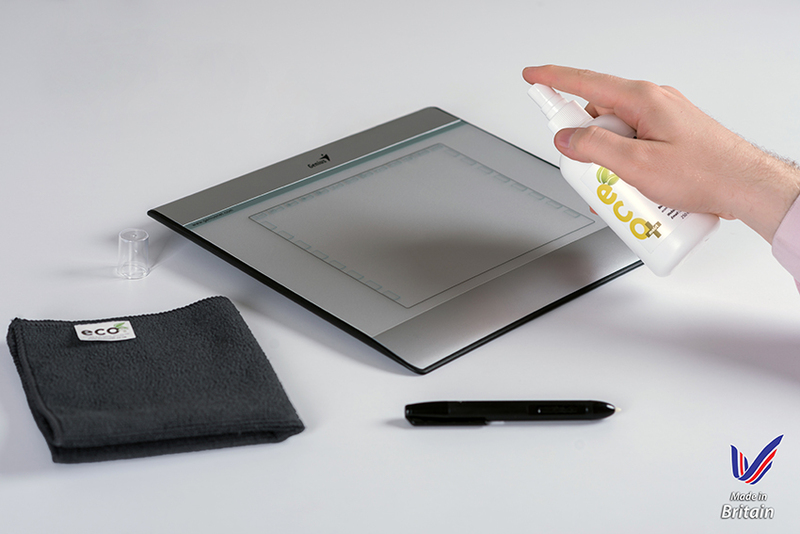 The cleaner contains no Alcohol and no Ammonia which can damage your device. No harsh chemicals and no fragrance. Environmental friendly and all bottles can be reused many times over again when they are empty. Reusable, Green product and easy to use. Please make sure the device is off and the screen is cooled down. For screens and other electronic surfaces, we recommend the use of our Ecomoist® Natural Screen Cleaner.